There are two ways a video conferencing system can connect from a court. The first is through an ISDN number whereby the connection is made through standard telephone lines. An ISDN number looks exactly like a local telephone number and the majority of UK courts connect in this way. The second and more contemporary way of connecting is through the Internet via an IP address. An IP address is a series of digits separated by dots. 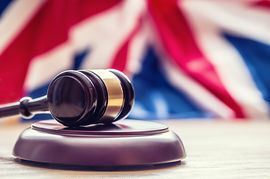 Some courts have already switched from ISDN to IP and many more will follow in the next few years as IP connections are generally of a much higher quality than ISDN connections & are capable of High Definition videolinks. As a result most new videoconference installations will be set up using IP. If you wish to install videoconferencing equipment in your courtroom, upgrade your outdated system or simply move from ISDN to IP, then we can assist you. Eyenetwork provides a range of audio visual systems which we can also install into your courtroom. A specially trained technician would visit the location, evaluate the circumstances, discuss the requirements and then advise on the best equipment for your needs. We will supply, install and integrate the system, making sure we leave you with the best technology and a full understanding of how it works. To make an enquiry about court room VC installations please e-mail us at info@eyenetwork.com or telephone us on 01273 324 422 and a member of our staff will be able to assist you and answer any other questions you may have.